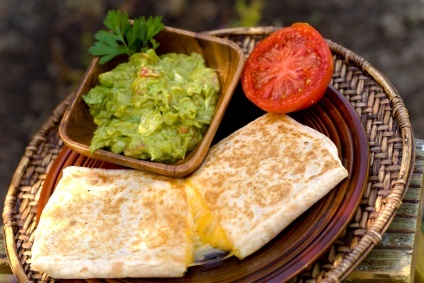 These traditional Mexican recipes product authentic Mexican fare. The best chicken enchiladas, homemade tortillas, pico and salsa. Including easy Mexican dessert recipes. 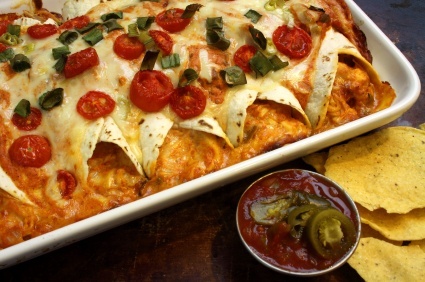 This chicken enchilada recipe is worth it's weight in gold. Place the chicken in a large pot and add water to cover. Bring to a boil over high heat, then reduce the heat to medium-low, cover, and simmer until the chicken pieces are no longer pink, about 10 minutes. If you are using a whole chicken, it should simmer for 1-1/2 hours. Shred chicken by placing two forks back to back and pulling meat apart. Set the shredded chicken aside. Meanwhile, combine the cream of chicken soup, sour cream, and chili powder in a saucepan. Bring to a simmer over low heat, stirring occasionally, then turn off the heat and cover to keep warm. Heat the butter in a skillet over medium heat. Stir in the onion; cook and stir until the onion has softened and turned translucent, about 5 minutes. Add the shredded chicken, chopped green chilies, taco seasoning, half of the bunch of chopped green onion, and water. Allow to simmer for 10 minutes. Stir in the lime juice, onion powder, and garlic powder; simmer for an additional 10 minutes. Stir 1 cup of the soup mixture into the skillet with the chicken mixture. Spread the remaining soup mixture on the bottom of a 9x13 inch baking dish. Fill each tortilla with chicken mixture. Sprinkle Cheddar cheese over the chicken filling before folding the tortillas, reserving half of the shredded cheese for topping the enchiladas. Fold tortillas over the filling and place seam-side down in the prepared pan. Pour enchilada sauce evenly over the enchiladas. Cover with the remaining 1 1/2 cups of Cheddar cheese. Sprinkle the reserved chopped green onions and the sliced olives on top of the cheese. Bake in the preheated oven until filling is heated through and the cheese is melted and bubbling, about 25 minutes. 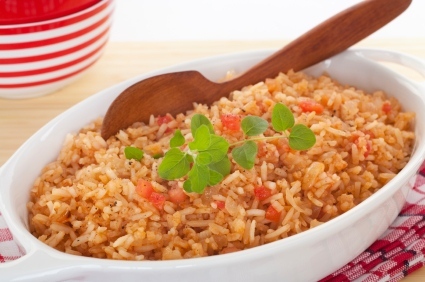 Serve with Spanish Rice and sour cream. My next traditional Mexican recipe is delicious on more than just enchiladas. See for yourself. Place the oil in a skillet and saute the garlic for 1 minute. Add the remaining ingredients and bring to a slow boil. Reduce heat and simmer for 15 to 30 minutes. Makes approximately 3 cups. This traditional Mexican recipe is delicious with grilled chicken or steak too. Heat the oil in a heavy skillet over medium. Saute the raw rice, onion and bell pepper until rice is browned and onions are translucent. Add the chicken broth and tomatoes. Season with the salt and chili powder. Cover and simmer for 30 minutes or until the rice is tender and the liquid is absorbed. Following are wonderful traditional Mexican recipes. My fresh authentic guacamole recipe is awesome, but I want to give you a few pointers so it turns out great every time. Secret #1 - Buy high quality Haas avocados. When choosing your avocados choose ones that are blemish free and have a slight give when squeezed lightly. Secret #2 - ONLY USE FRESH INGREDIENTS. Seriously, do not put in canned tomatoes, fake lemon juice, dried cilantro or garlic powder; it ruins it. Some use lemon and some use lime in their guacamole, just use what you like - but make sure it's fresh. These recipes are just guidelines, so if you love heat or cilantro, please add more. In a large bowl, mash the avocados and add the lime juice and salt; mix well to combine. Add the remaining ingredients and mix well. Chill for at least 1 hour before serving. For a very quick guacamole just take a 1/4 cup of fresh salsa and mix it in with your mashed avocados. Delicious. If you have any traditional Mexican recipes you would like to share, please email them to me.